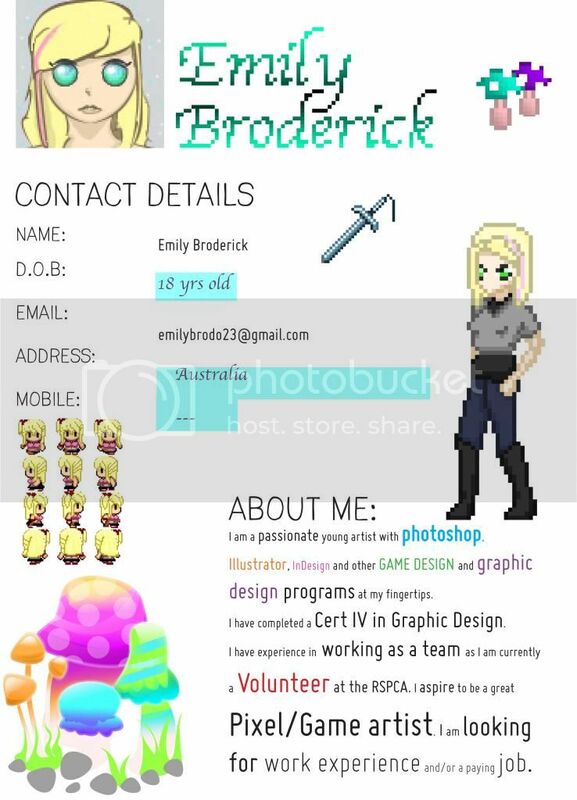 Hello, my name is Emily and I am a pixel artist Junior looking for work. I can do custom 32X32 sprites for RPGs and other animations. I am willing to learn new things. I am unwilling to work for free as I am low on cash.